Toner is flaking/rubbing off the media. Toner is not fusing/adhering to the media. Toner is coming off the label. Certain types of media can exhibit poor toner fusion immediately or after 100 feet of printing. In some cases you can fix this by increasing fuser temperature. Fuser temperature can be increased a total of 27 F degrees (15 C) from 338 F (170 C) to 365 F (180 C) by changing the following settings on the printer. Performing all of the steps below will increase the fuser to the maximum possible temperature. However, not all of these steps will be required for a particular media. Primera recommends increasing the fuser temperature the minimum amount to achieve proper toner adhesion. 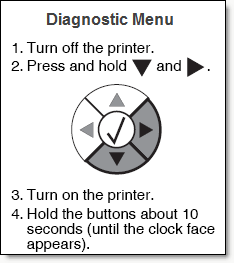 Important Note: Some Media will not work with the printer no matter what heat settings are used! A. Set Fuser Temperature in the Status Monitor to High. Open the Status Monitor (Start - All Programs - PTPrint - Status Monitor) - Choose Options (Third Tab down) - Click the Advanced menu. Set Fuser Temperature to "High". B. Set Paper Texture to Rough. 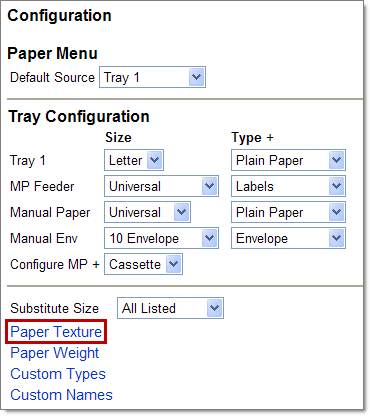 Change this setting by navigating to the printer configuration web page. 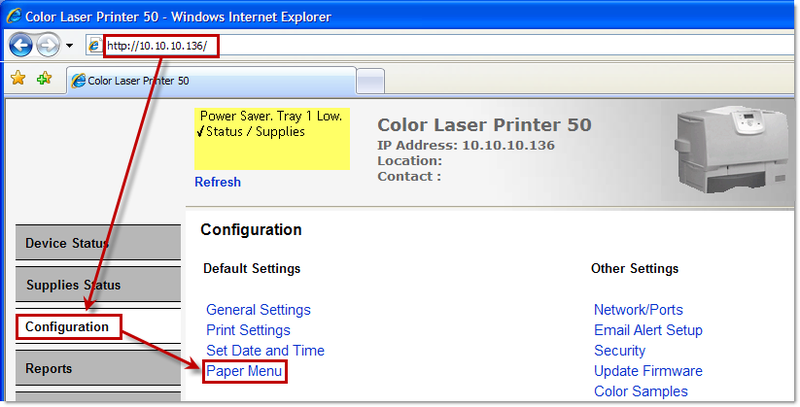 First determine the IP address of the printer. 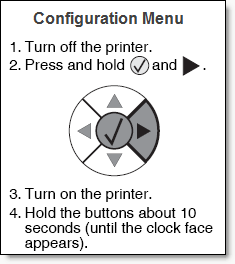 On the Printer's control panel, press the menu button - Select Network/Ports - Select TCP\IP - Select Address. Write down the Address. 4. 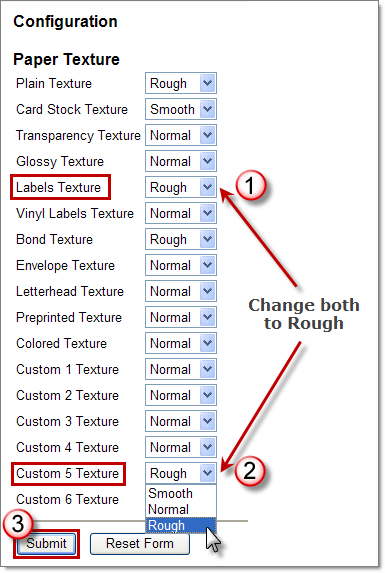 Set Labels Texture to Rough. Set Custom 5 Texture to Rough. Click Submit. C. Set Paper Weight to Heavy. Follow the same procedure described in section B. In step 2 choose Paper Weight. Set Labels Weight to Heavy and Custom 5 Weight to Heavy. D. Set fuser temperature to High in Diagnostic Menu. 1. Go to the secret diagnostic menu. See instructions below. 4. Select "High". Press the Check button. Wait for the setting to change. 5. Switch off the printer and turn it back on. Important Note: Please change nothing else in this menu. E. Reset Fuser Counter. The printer keeps a fuser page counter because as the fuser ages the rubber fusing roller gets softer. This allows it to emanate more heat. To maintain even fuser temperature the printer automatically compensates for this by gradually decreasing fuser temperature in relation to the age of fuser. Resetting the fuser counter automatically sets the printer back to highest starting temperature. 2. Select Reset Fuser Cnt. 4. Switch off the printer and turn it back on.